Why are the NEXT GENERATION CAGES a major leap forward in cage design? 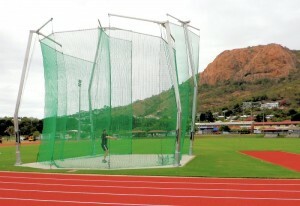 The high wind rating up to 90 km/h reduces the amount of time spent raising and lowering the net. The unique pole structure reduces the incidence of implement impact and thereby reducing net damage and pole damage. Reducing the number of poles and offsetting them from the net guide ropes makes it difficult for the net to be tied back. 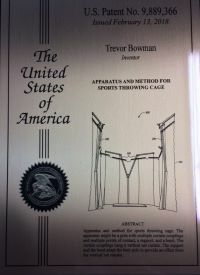 The correct net position provides the correct safety throwing zone and reduces the risk of injury. The uniqueness of the cage will draw attention and publicity to any venue. The biggest frustration for club officials is the time spent changing gate position during events. The new cages from Play Hard Sports are quick and easy to operate and also provide unsurpassed vision of the thrower. Correct net position ensures the safety zone is not compromised. There are fewer footing holes to drill and less concrete to pour which reduces costs and time. 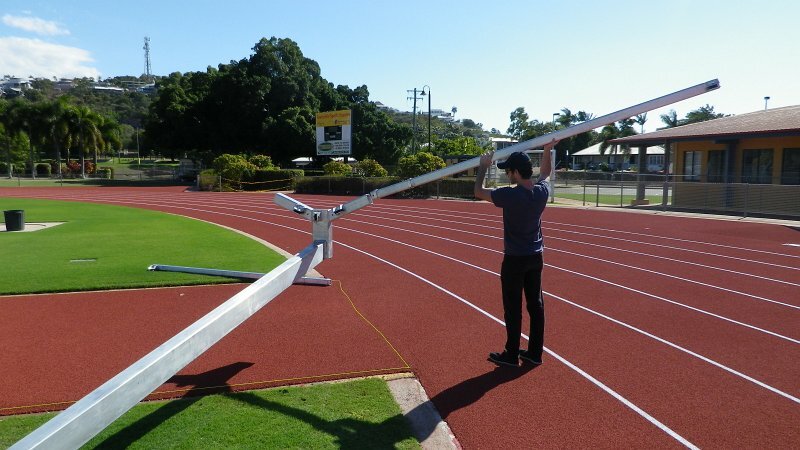 Erecting the cages can be done without the use of machinery. 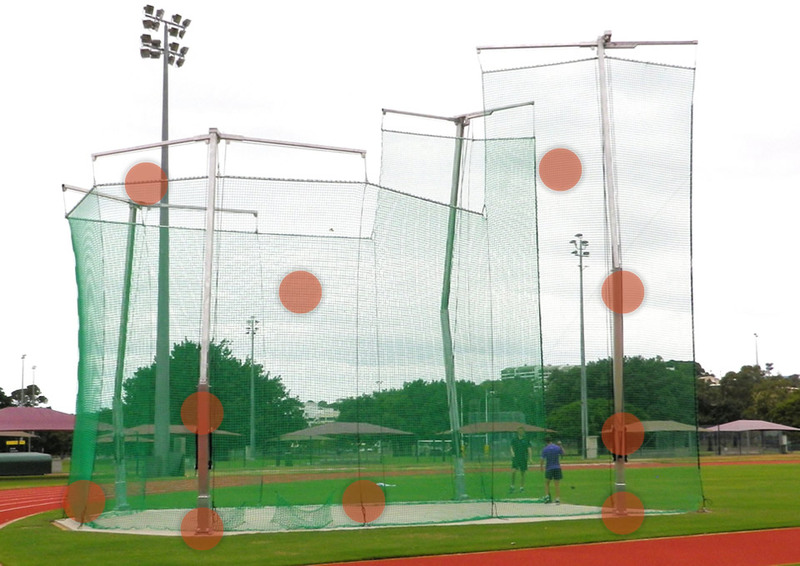 Net height is consistent and reduces stretching. There is no metal frame around the gates for the hammer to impact and cause damage to the net. Nets can remain erected all season which reduces labour operating time and cost. Gate poles are positioned clear of the net so implements are captured before damage is caused. Nets can not be hooked over cleats reducing net damage and keeping the net in the correct position. Ropes are easily tensioned to ground anchors. Poles are positioned to avoid guide ropes being tied back. Less ground sleeves and footings to install. Provides better spectator visibility and is more aesthetic pleasing. Poles are assembled laying down and raised with block and tackle (which is provided). Size 10m x 2m gates, 7 metre high perimeter. Gate pivot distance 7.0m from circle centre. Gate operation Swing arm open and closing ropes and snop hook at ground anchors. Ground work 4 sleeves and removable hinged base plates, 14 rope anchors. Net 44mm square mesh, 5mm woven poly cord with 350kg breaking strain, black (green optional), UV stable, IAAF certified. Net support Net rails all round. Assembly method Poles are assempled on the ground and raised by pulley. Assembly equipment Pulleys (provided), spanners M20 (3/4") & M12 (1/2'), knife, pliers. 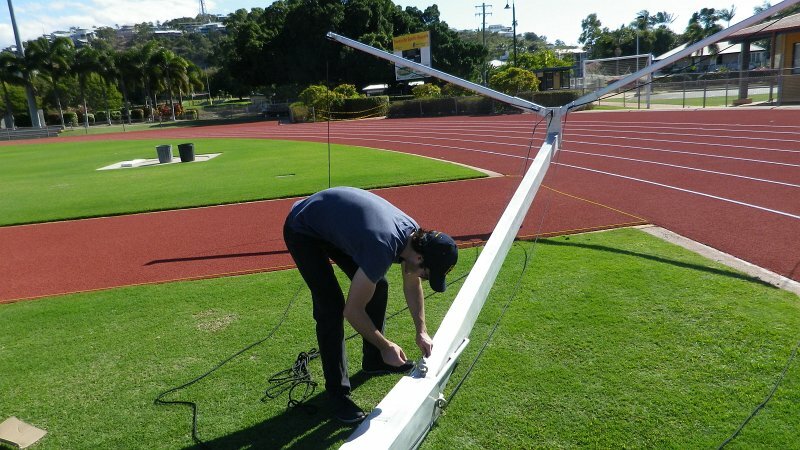 Compliance standard NCAA compliant & IAAF certified.